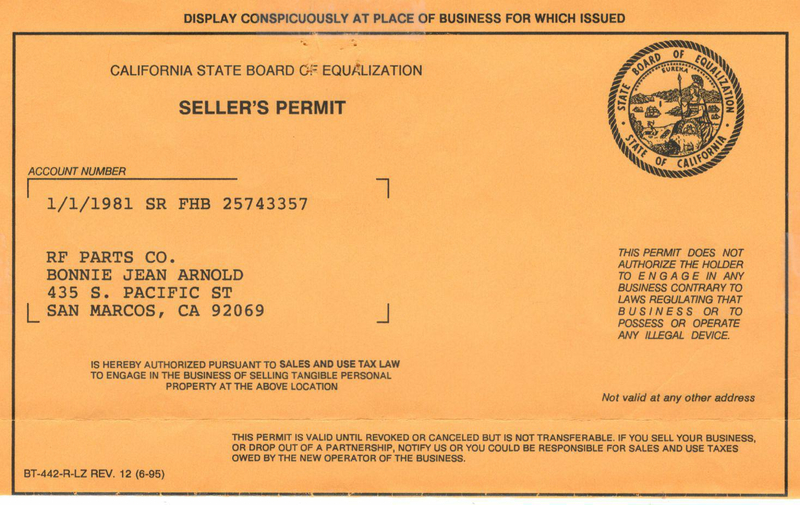 If you are a California Business, holding a valid Resale Certificate, you must contact RF Parts Company before ordering so we can enter your company in our system as Tax Exempt. When your company is setup as Tax Exempt, the system will now recognize your account and not charge your company state sales tax. If you proceed to place an order online without doing this, you will be charged California State Sales Tax. For customers purchasing from RF Parts Company in the state of California, the website automatically defaults to charging California State Tax. The State-wide tax is 7.5% and 8% in San Diego County.